There certainly are a lot of words that describe weather. That’s why the weather is a tried-and-true (reliable) topic for starting a conversation. Though not very original, it’s easy for small talk and there’s always something to say about it. The idiom under the weather is a different matter altogether. When we feel under the weather, we feel slightly ill and not at our best. - Alice was feeling under the weather today, so she took the day off. - Brian said he’s feeling under the weather and may have the flu. - Marco’s girlfriend was feeling under the weather, so he decided to bring her flowers to cheer her up. 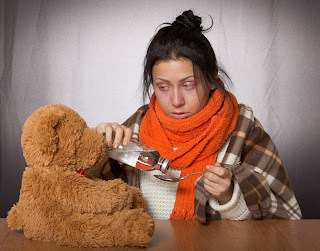 Historically, this expression originates from a shipping or nautical reference; when a sailor felt sick or unwell, he was sent below deck to recover, away from the weather. That’s something to talk about.